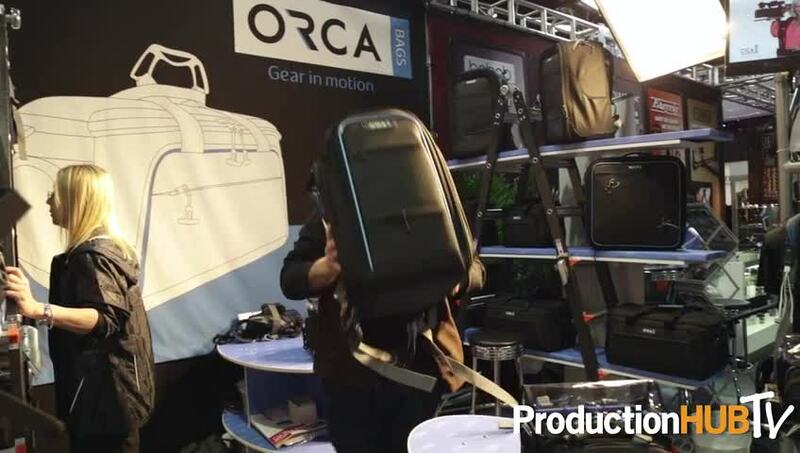 An interview from the 2014 National Association of Broadcasters Convention in Las Vegas with Ofer Menashe of Orca Bags. Orca creates customized bags and accessories for today’s working broadcast and cinema professionals worldwide. ORCA designs are a direct response to feedback from working industry Pros looking for a better solution for their daily on-set needs. Incorporating aluminum frames and multiple access points, ORCA offers specialty designs including the ORCA Audio Bag, ORCA Shoulder Video Bag, ORCA Light Case, and the ORCA Backpack. Each is designed to work with the new ORCA Trolley System, created to easily move heavy equipment. Additional offerings will include the ORCA Rain Cover and ORCA LCD Hood.